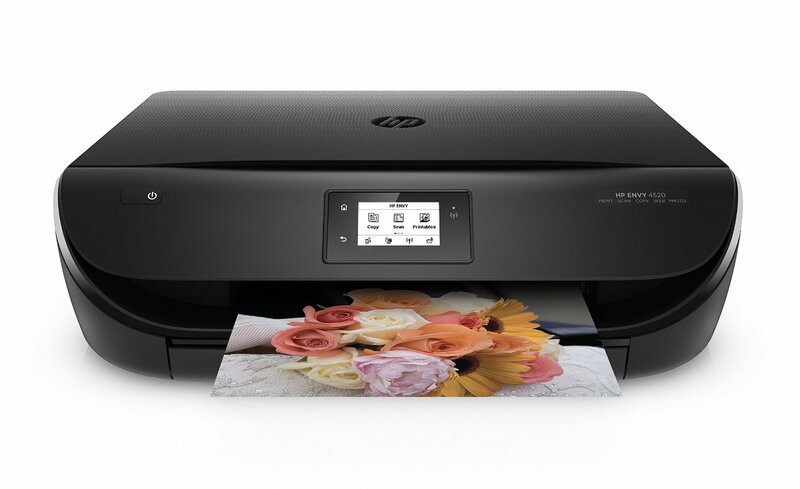 In my previous article on the best all in one printer for home use, I recommended printers that are the top in their class, regardless of their price. However, I realise that budget might be an important consideration for some so I have decided to put together another comparison list that only recommends the best wireless all in one printer under $100. Bear in mind though, at this price point, you can’t expect the best in class but they will be the best value for the money. My criteria for the products in this list is simple. I search on Amazon and select only printers that have over 50 reviews with an average of 4 star ratings. Their prices must also be below USD100 before any discount or sales. The reason for this is that I see many printers currently selling below USD100 due to some promotional pricing as of this writing. If I select those, their pricing might have changed by the time some visitors stumble upon this page. Hence, I decide to based my pricing on the pre-sales level. 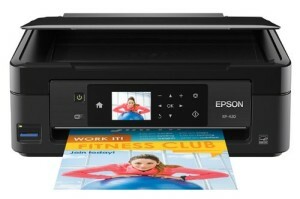 The Epson Expression XP-420 is a all in one wireless printer for home use. It has a copier, scanner and printer all packed into a compact design for small space living or office. On the wireless part, you can connect it easily to your iPad, iPhone or tablets for easy printing. It is currently compatible with most of the latest firmware and devices including Windows 10, the new MacBook Pro etc so this shouldn’t impose any problems but note that for each firmware, the connecting method might be different. For example, for iOS, instead of following the instructions provided, connect the printer directly to your router and everything will be seamless. For the other firmwares, you will need to use the DVD provided for the printing drivers. With the connectivity being settled, another important thing to look out for is the ink consumption. While the price on the XP-420 might be cheap, it will all be for nothing if the ink runs out quickly and you need to constantly buy new ink cartridges. Fortunately, that is not the case here. The ink consumption here is fairly standard and there is a starter kit to get you going when you first purchase the machine. The additional ink cartridges cost around USD13 for black and USD25 for colored so they are not that expensive either. In terms of print quality, it is decent for its price. The black and white documents look professional and can be a match for even high end printers. The colored ones will be the one that you can see a difference if you compare against a top of the line color printer. However, you get what you paid for. It is decent quality but not the best. Overall, it is a great wireless all in one printer under $100. However, there are some minor cons you should know about. One, the paper tray holds about 100 sheets which means you might need refill quite often. Second, there is no usb port for you to plug in your thumb drive and such. Third, there is no font size adjustment or automatic double side printing. The HP Envy 4520 is another highly rated wireless all in one printer that is under the one hundred dollars mark. Like the Epson XP-420, it can connect seamlessly to the latest firmware like Windows 10 as well as to the different devices includes IOS and Android. The only exception seems to be Chrome Books, which you need to use Google Cloud Print instead of printing directly from your notebook. When it comes to print quality, it has its pros and cons. On normal text document, no problem. For photo printing, it does fine with small prints but really has a bad resolution when it comes to large prints. A plus point for this printer is its scanning software. It has the ability to recognize different photos when you threw the lot and will save each one as a separate image. This will save you lots of time if you intend to do photo scanning. 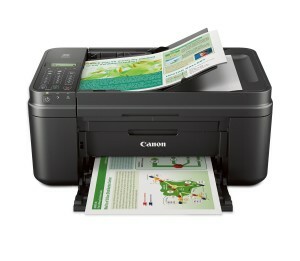 In terms of the scan quality, it is as good a dpi as printer of this price range can give. The one irritating factor is that the printer will try its best to persuade you to sign up for its automatic ink replacement programme. Essentially, it wants you to give it permission to send your printing information to their service so that they can track how many pages have your printed and when is your replacement coming up. If you did not sign up, the message will pop up every day so it can be real irritating. 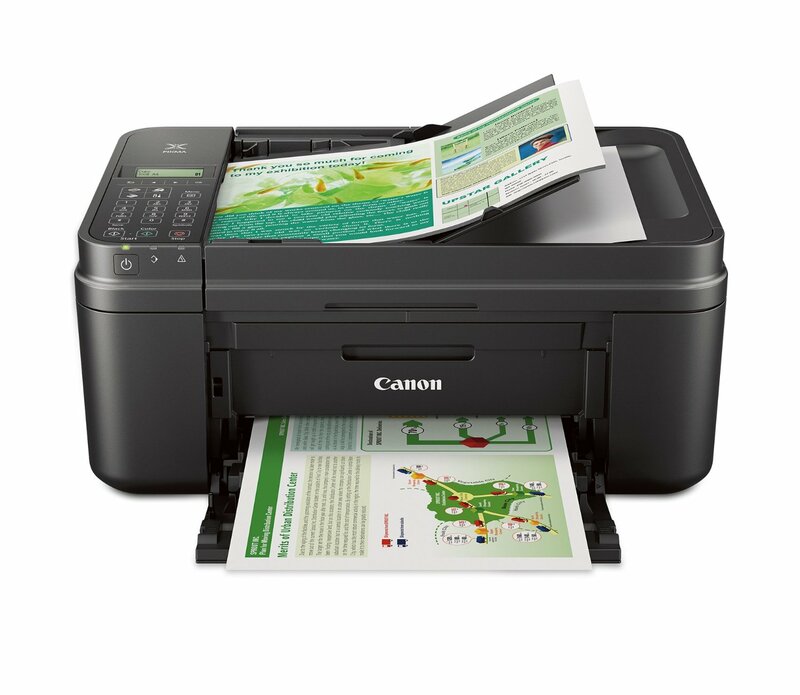 The final printer under the $100 budget is this Canon MX492 that allows you to scan, copy and print. I put this as the last option because it has only one big flaw that should be pointed out straight away: its paper feeding. I am not sure if it is a design or manufacturing error but I am seeing reviews stating frequent paper jams as well as the print not coming out as straight as it could be. For some, this can be a deal killer, no matter how low the price point it. Other than that, everything else seems to be on par with the 2 models mentioned above. The connectivity is spot on. You can spot all sorts of device and firmwares without much trouble. You can even scan with a Mac and have it printed instantly if you have set up the network correctly. The printing itself is fast and the quality is surprising good, especially the color prints. I would say the color print looks the best among all the three models reviewed so that is a major plus point. Overall, each of these wireless all in one printer has its plus and minus. It is good to look through each of them in detail and see which weakness you can live with and which ones you can’t tolerate at all.